During the first 2 weeks of January, 17 current and former employees of the Thompson School District will be exhibiting their work in the ‘Practice What You Teach’ Art Show at the Carnegie Center for Creativity in Fort Collins. These Artist/Teachers are not only successful at opening the eyes of area students to the meaning and importance of visual art, they are all competent artists themselves. With a wide range of media and styles (ceramics, photography, paintings, drawings, printmaking, and mixed media) there is truly something for everyone. The Carnegie Center is located at 200 Mathews Street and is open from noon until 6:00. Wednesday through Saturday.Admission is always free and a reception will be held Friday evening, January 4 from 6:00PM until 9:00 PM in conjunction with the Fort Collins, First Friday Gallery Walk. 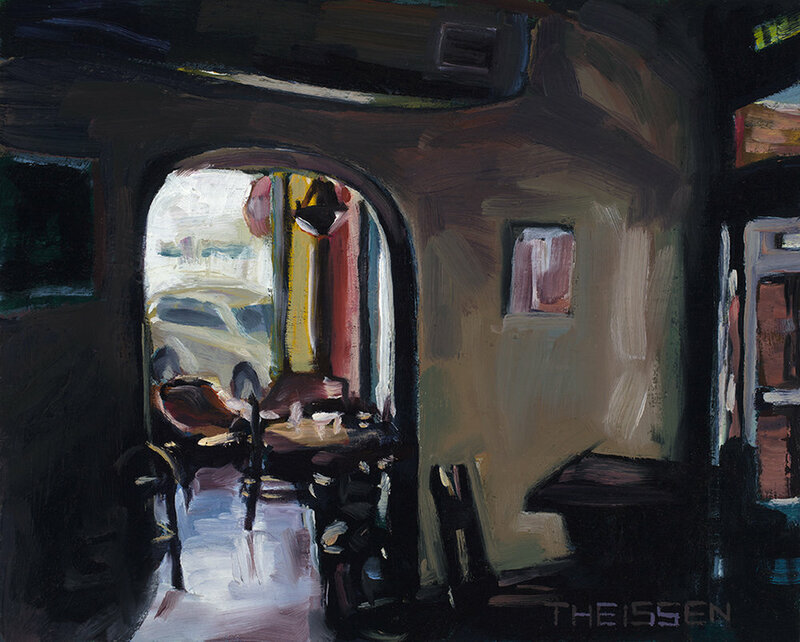 The September Artist of the Month at the Equinox Brewery will be yours truly! 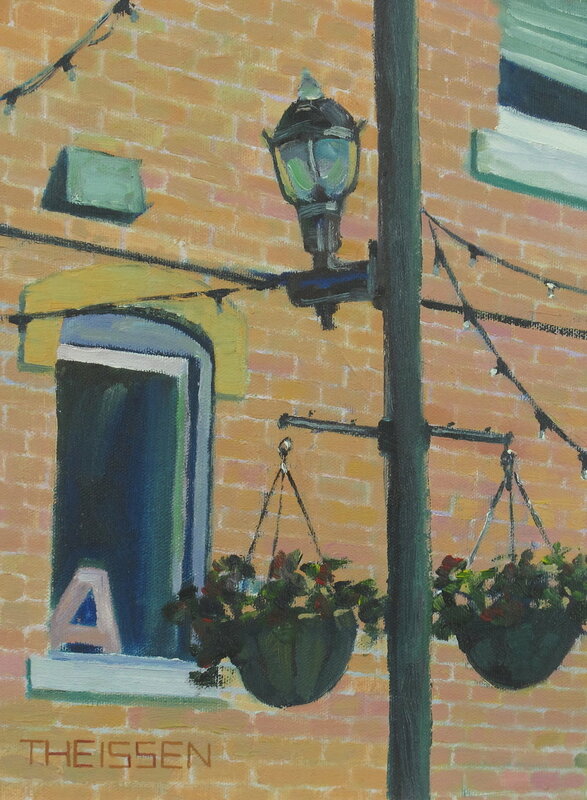 I am definitely looking forward to exhibiting paintings at one of my favorite spots in Old Town Fort Collins. Hope to see you there! 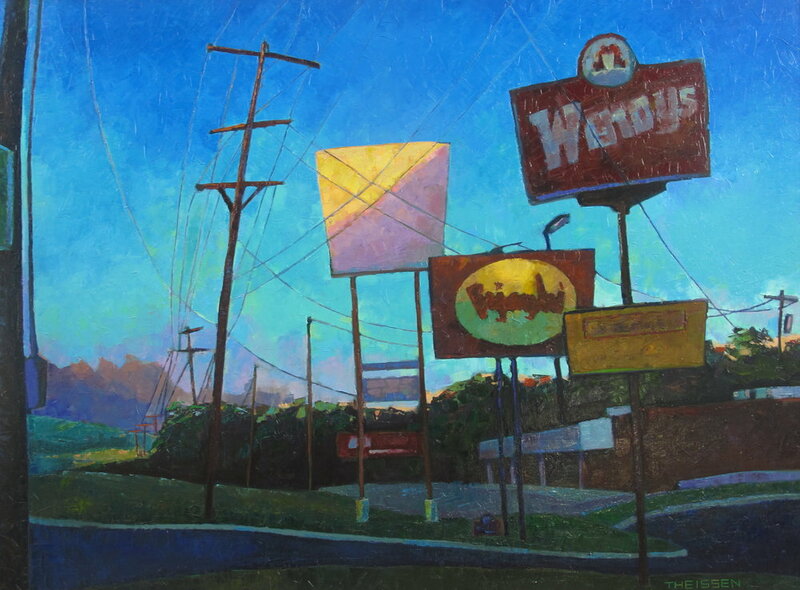 SkyLines, a multi-layered oil painting of mine will be included in this Nationally juried exhibition in Danville, KY. 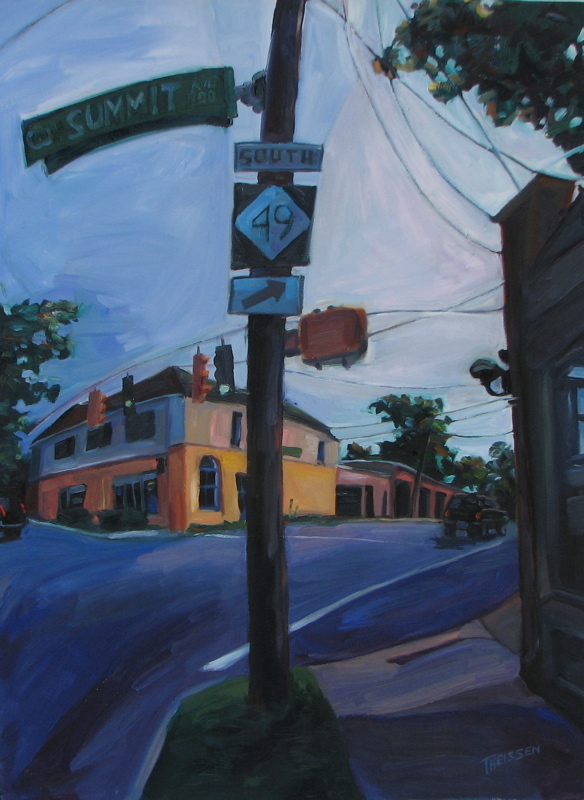 The opening reception will be held on Friday, September 14 from 5:30 to 7:00 PM if you happen to be in the area. Alas, I will not be in attendance but I will celebrate the occasion at home with refreshments suitable for an opening night! Cheers! 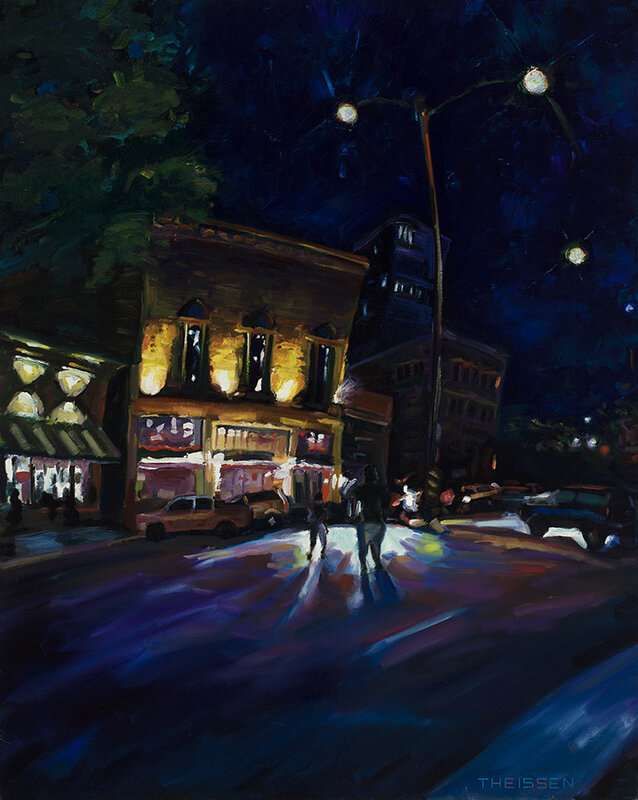 "Our Town", an exhibit of regional cityscapes by Fort Collins artist and art educator David Theissen, featured many recognizable Northern Colorado buildings and urban landmarks. The show was on display at the Carnegie Library Building at 200 Mathews Street in Fort Collins from July 26th through the 29th. An Open House was held on Saturday the 29th from 2 - 4. Find the catalogue for the show below.